The 26th edition of the Christmas Concert took place last December 15th in Vatican City’s ‘Paul VI Hall’. 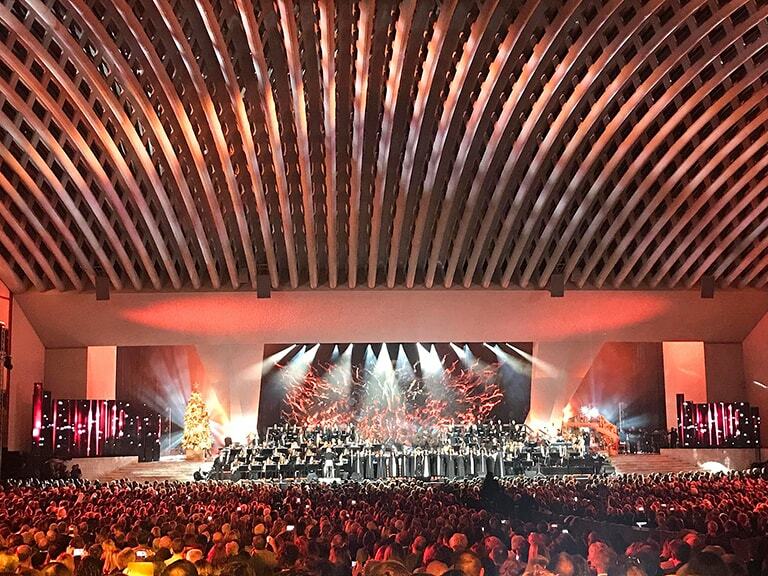 The event, broadcast on TV by Channel 5 on Christmas Eve, was lit up by SYNERGY 5 PROFILE moving heads. A cast of great international artists performed live on the stage of the vast auditorium designed by Pier Luigi Nervi – including Anastacia, Dee Dee Bridgewater, Josè Feliciano, Edoardo Bennato and Alessandra Amoroso. We thank Francesco De Cave – the Lighting Designer of the event – for the interview he gave us. What concept did you develop in the choice and arrangement of the projectors, and in the lighting design of the show? “For the Christmas Concert I wanted the SYNERGY 5 PROFILE fixtures, which I had already used on Laura Pausini’s tour; they were not a discovery for me but only a confirmation of what I wanted from that projector: the brightness, a very high CRI, the linear CTC, the built-in framing system. I was looking for a fixture that could give me all the characteristics of an image projector, a moving head capable to trace the smoke without overwhelming the television image. A fixture that would allow me to project gobos with a slight blur, to perfectly match the TV shootings. 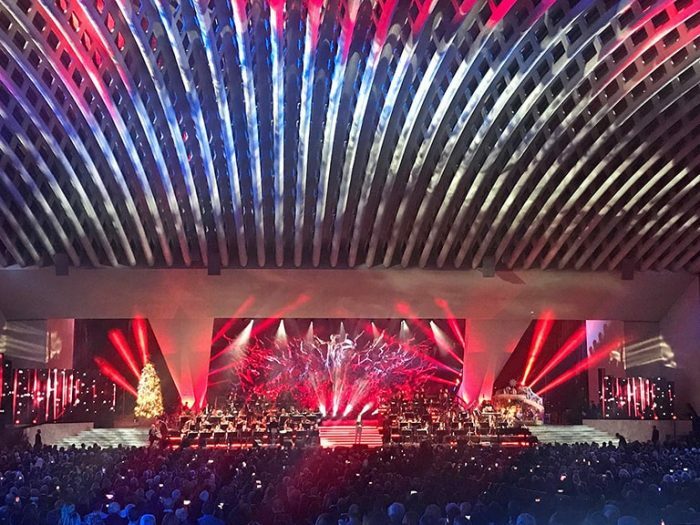 In the ‘Christmas Concert’ we saw a sober, elegant, balanced use of the moving heads; even during ‘dynamic’ performances like that of the Tennessee State Gospel Choir, the light show has always been effective but with great measure. 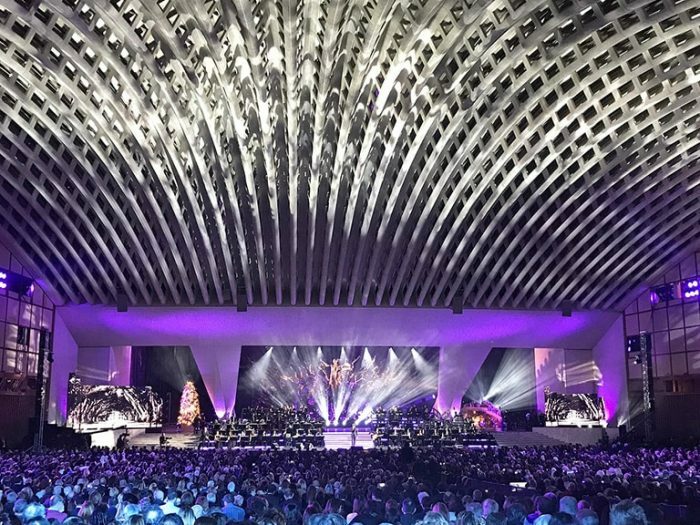 “It was a consistent choice; I looked for a lighting design in line with the context in which the show took place: the celebration of Christmas, the great orchestra, the suitable repertoire of songs, the particular location – the papal audience room in the Vatican. It was inevitable to create a descriptive and sometimes ‘theatrical’ lighting, while maintaining the television setting. I hung 7 SYNERGYs to the only truss available in this event; I used them to light up the first row of the parterre as key light, shaping the light beams with the internal blades. 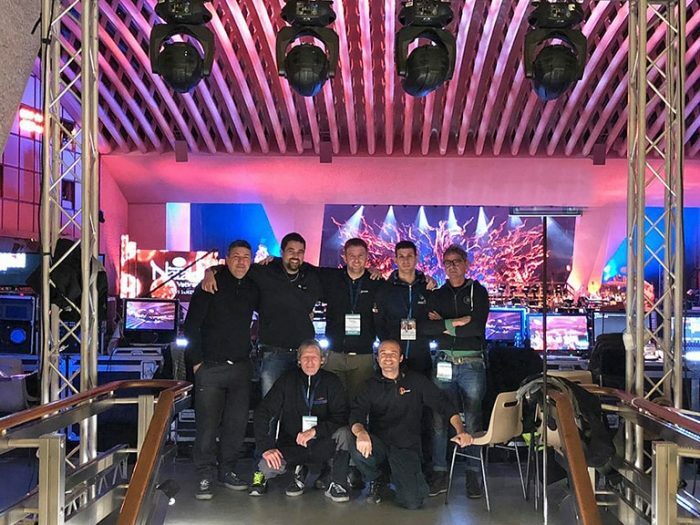 We placed 6 more SYNERGYs to color the two large columns of the Sala Nervi, to enhance the scenography for the television shootings.